product launch can be a tricky thing in startups, specially when it comes to newcomers and people who don’t have prior experience in this field but there are tools out there that can help you manage your product launch and LaunchReady is one of such tool. today we will try to explain this tool and its use for you in the simplest way possible so stay tuned because this one can help your company to make an amazing impact on the market. 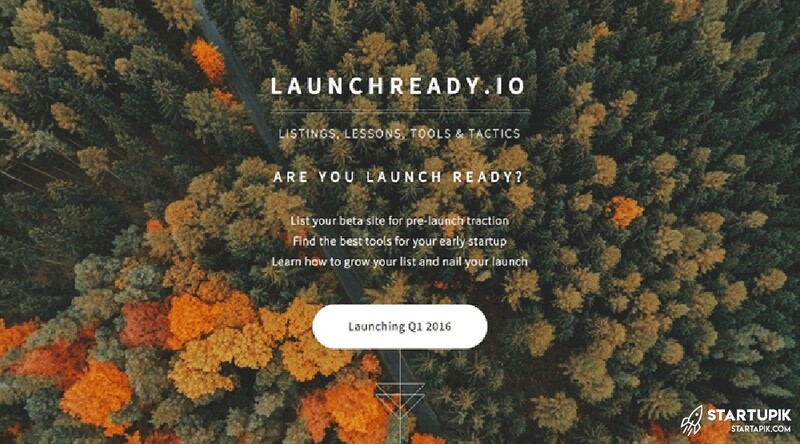 LaunchReady is a website with professional level of experience behind it and it can give people a great chance to learn how they can be ready for a product or service launch. this tool is designed in a very simple it has a listing system for startups which are in a state we call yet to be launched and this means that you can use it as a way to see all new ideas and systems that can be big in a not too far future. well the answer is simple, you start your business like a child and you have a lot to learn. you should know who is out there that might be able to complete you and who can compete against you and you should consider as rival. these kind of information are essential before launch and LaunchReady will exactly gives you these kind of information. its like a hub for new and upcoming startups so you are joining a community that have the same level in almost everything. then you can get your things done with highest level of details before launch. you can check if you are ready for launch or not and in LaunchReady you have a checklist that can make sure of this readiness. in other words, if you want your startup actually survive then you should launch it in the correct way and with LaunchReady, you can Learn how to grow your list and use them as a tool to reach your initial goals. you can even count on this tool for your other type of works related to launch, for example finding an idea to build your startup around it, building a team for your startup, wetting up your web site and validate your ideas, getting prepare for launch, and the most important one of all: actually make it all work in favor of your startup dream.